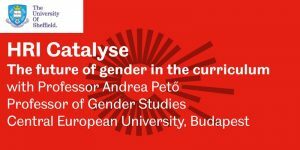 Andrea Pető is Professor of Gender Studies at the Central European University, Budapest. She is a leading scholar in gender history and politics, as well as a campaigner and advocate for women’s equality and gender studies education. The presentation will be followed by a panel discussion with Dr Lucy Jones, Professor Jenny Saul and from the Department of History, Professor Mary Vincent and Dr Julie Gottlieb with time for Q&A. 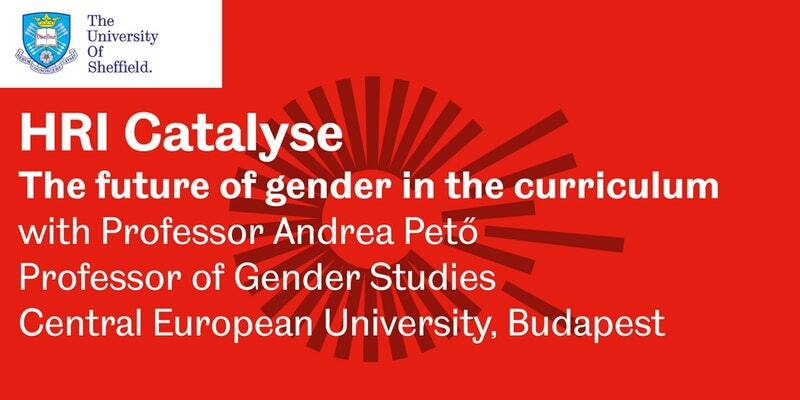 The event is organised by the Faculty Equality, Diversity and Inclusion Committee, supported by HRI Catalyse.